Four things you should know about stress: An Interview with William Stixrud, Ph.D.
William Stixrud, Ph.D., is a clinical neuropsychologist and director of William Stixrud & Associates in Silver Spring, Maryland, a group practice specializing in learning, attention, and emotional disorders. Dr. Stixrud is an adjunct faculty member at the Children’s National Medical Center in Washington, D.C.
Dr. Stixrud: Stress is anything that disturbs the body’s homeostasis and causes it to go into the fight or flight response. Certain things happen to the mind and body when you have to respond to a stressor—you get a surge of adrenaline, your muscles get stronger, your senses heighten, and you can do amazing things, like a mother lifting a car when her child is in danger. 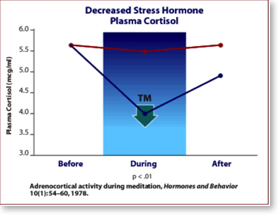 However, if the stress response continues to occur, the adrenal steroid cortisol continues to flood the system. The great challenge of modern life is that stress is so prevalent that many people maintain a chronic stress response, which means that they stay in the fight or flight response mode for a long time. Chronic stress is always bad for you. Enlightenment: What does stress do to the brain? It is also true that chronic stress—or being stressed for a long time—actually ends up killing brain cells and shrinking parts of the brain that are extremely important for thinking and learning. For example, people who have been depressed or have had PTSD symptoms for many years usually have a smaller hippocampus, the brain’s major center for creating memories, and this places them at increased risk for Alzheimer’s disease and age-related dementia. You also see shrinkage in the prefrontal cortex resulting from chronic stress, whereas the amygdala, the part of the brain that detects threat, starts working overtime and actually gets bigger. Thus, the more anxious and stressed you are, the more anxious you become. Enlightenment: How does stress affect mental health? Dr. Stixrud: In the development of anxiety disorders and depression, the major cause is experience rather than genetics, and the main aspect of experience that creates these mental health problems is stress. Rats show symptoms of depression if they are simply injected with stress hormones. In humans, if you use an MRI scanner to look at the brains of adolescents or adults with an anxiety disorder or depression, the thing that shows up most consistently is a hyperactive amygdala, which indicates that these individuals are highly stressed. Because these problems are stress-related, they can be prevented to a significant extent. Prevention is hugely important because the onset of anxiety problems and depression is occurring earlier and earlier in children. Researchers think depression scars the developing brain, causing increased susceptibility to further bouts of depression. So the top priority is to reduce scarring of the brain by reducing stress-related problems. Enlightenment: How can we keep stress from having an adverse effect on us? Dr. Stixrud: A healthy stress response is when your stress hormones spike dramatically to help you respond to a real stressor, but then go back to normal quickly. In people who are frequently stressed, it’s the opposite—stress levels stay relatively high, go up slowly in an emergency, and take a long time to go down. Practicing the Transcendental Meditation technique normalizes the stress response, which means that stress hormone levels are typically low, spike rapidly in response to threat, and then go down quickly. We want a healthy response to stress, but what we don’t want is a chronic stress response. We want the body to help us do what we have to do when we are threatened, but we don’t want the stress response to remain turned on. With stressed kids, the level of mental efficiency is so low that it’s hard for them to function. Research shows that kids who meditate do well in school because their brains are working at higher levels of efficiency. Enlightenment: How can we prevent stress in children and adults? Dr. Stixrud: Sleep deprivation is a form of chronic stress. It does things to the brain and body that other stressors do. And Americans are chronically sleep deprived, sleeping 20% to 25% less than they did 100 years ago, before the advent of electricity. You can prevent and alleviate stress by getting enough rest. This means sleeping until you wake up without an alarm clock—that’s how you know you’re getting enough sleep. Evidence also shows that daily physical exercise, such as walking, helps alleviate stress in the body and brain. The role of the Transcendental Meditation technique is to provide deep rest to the nervous system, deeper than sleep. It provides this deep rest while making the mind more alert. It’s this combination that creates more resilience under stress. The TM® technique is really good for the developing brain. Teenagers can do it really easily. They have a center, a core of peacefulness and happiness inside themselves that they can access. The more they do it, the more they find they are less reactive to stress. And if they do get stressed, it goes away faster. They generally sleep better, find it easier to eat normally, and are better able to successfully handle the hassles of life. These kids simply need antidotes to the stressors in life, which may include drugs and alcohol and sleep deprivation. The TM program also significantly reduces the risk for type 2 diabetes. By de-stressing kids, I think we also significantly reduce the risk for heart-related and obesity-related problems. There is good evidence that the TM technique, by providing a tool for systematically de-stressing, allows the heart to work better, and if the heart works better, the brain works better. It makes kids less at risk for all manner of physical and stress-related problems.